The federal government andthe international oil companies, IOCs, plan to take final investment decision, FID, on three projects – ExxonMobil’s Ibot, Total’s Ikike and NLNG Train 7 – before the end of 2019. According to Wabote, these would create opportunities for indigenous and other investors in Nigeria, and will present 80 business opportunities worth $100 billion for operators.He said the projects were contained in the compendium of Nigerian content opportunities in the oil and gas Industry launched at the event. 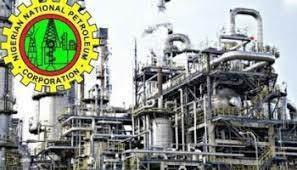 Also speaking, the minister of state for petroleum resources, Emmanuel Ibe Kachikwu, said the development of the opportunities would require the contributions of various entities, including the Department of Petroleum Resources (DPR) for approvals, Nigerian National Petroleum Corporation (NNPC) for negotiations and the oil companies, which would take FIDs, among others. Oil prices rose slightly amid reports of slower growth in China.